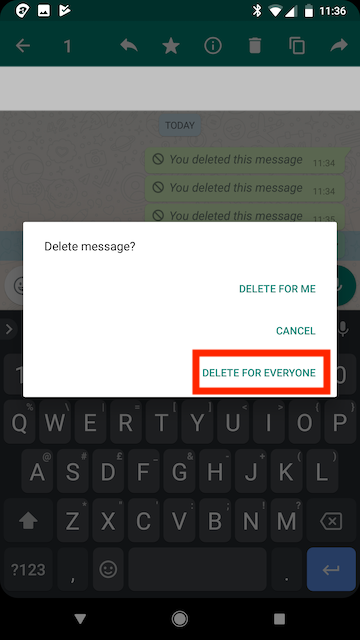 You can now delete messages on Whatapp before the recipient has read them. 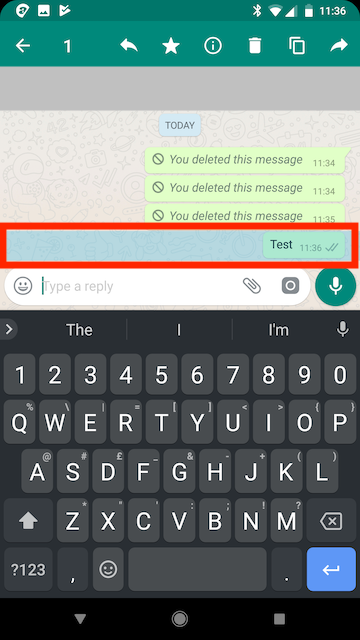 This is a great feature - particularly if you have sent a message when you were drunk to your boss telling them how you really feel, or sent a message to a friend/ex and realised immediately after that you regret sending it. The recipient will be able to see that you have sent a message and that it has been deleted but you can easily blag your way out of it with some excuse about sending a message to the wrong person. There is one limitation and that is that the message must be deleted within 7 minutes of sending. Once those 7 minutes have passed the message can't be deleted from the recipients phone. You will now see the You deleted this message notification. This will also appear on the recipients phone. 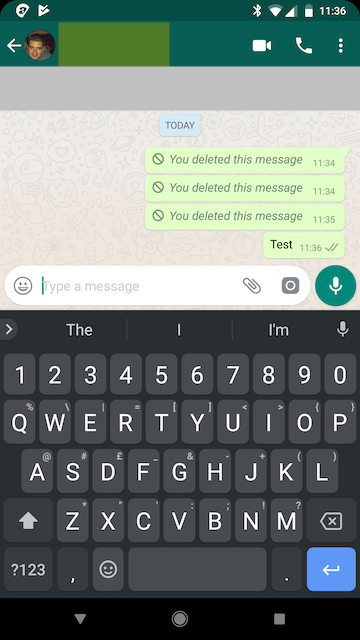 But the message has been deleted and as long as they didn't see it they won't know what you sent. Get 25% off any VPN Plan with IPVanish VPN.